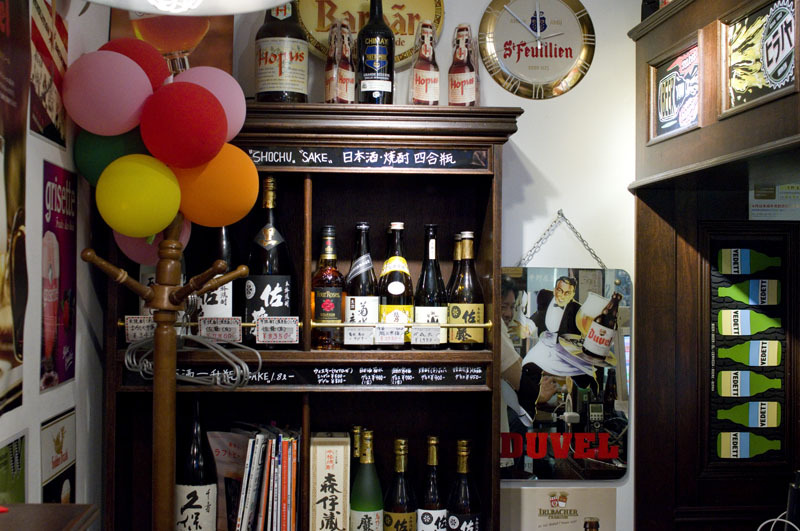 Although Hiranoya was once a simple retail bottle shop with a standing-bar corner, over the years they have transformed into a full-fledged specialty beer bar, albeit a rather tiny one. The main focus is on classic Belgian beers, with a huge variety to choose from, and they also offer an impressive selection of European and American craft beers, with an emphasis on otherwise hard-to-find breweries and bottles. 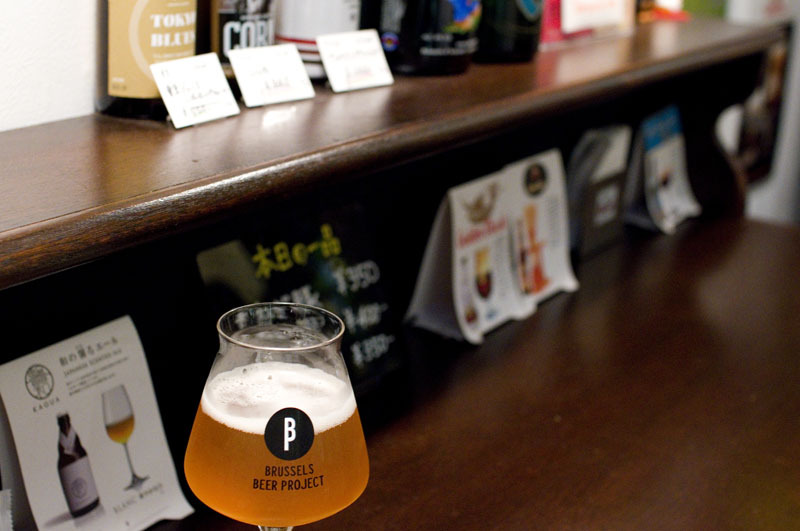 One highlight is their extensive roster of bottled craft beers from BBP (the very innovative Brussels Beer Project), with glassware to match. 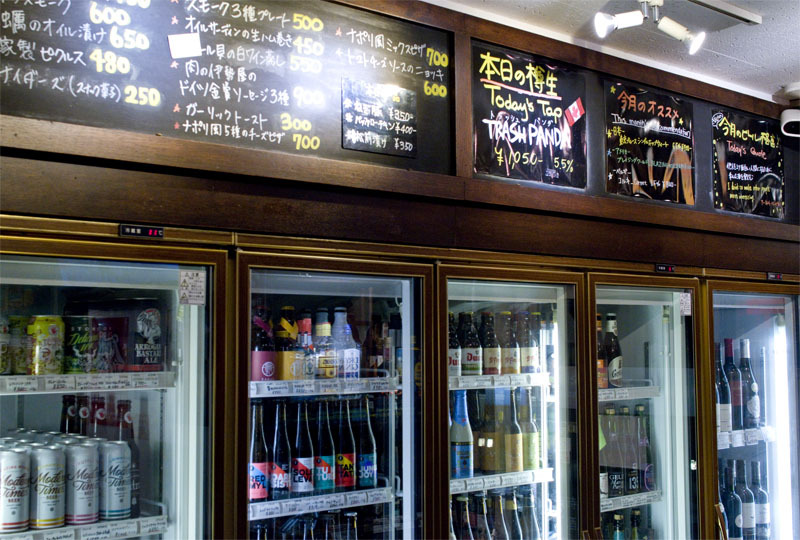 They stock a few Japanese breweries as well, again with an emphasis on special, hard-to-find bottles and limited seasonal brews. 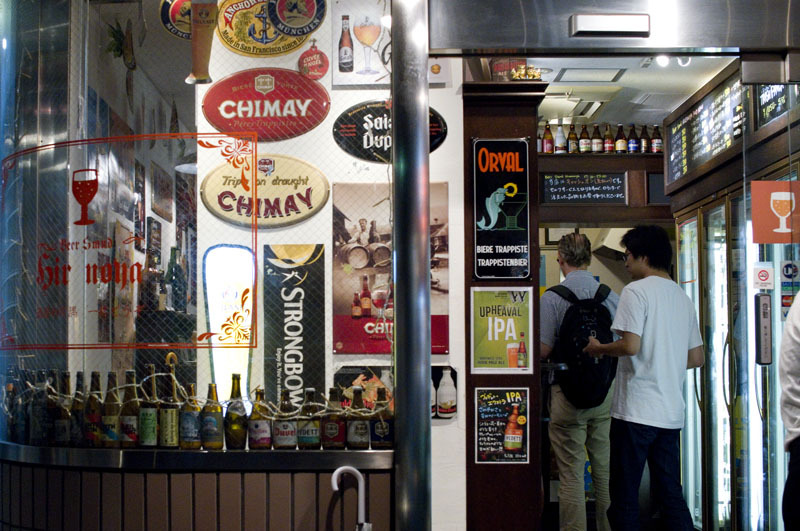 The single tap offers a rotating selection of beers from small US, Canadian and European brewers. There are a couple of small, standing tables out in front of the bar, and more than a dozen seats in the cozy interior - far more comfortable than your typical bottle shop. 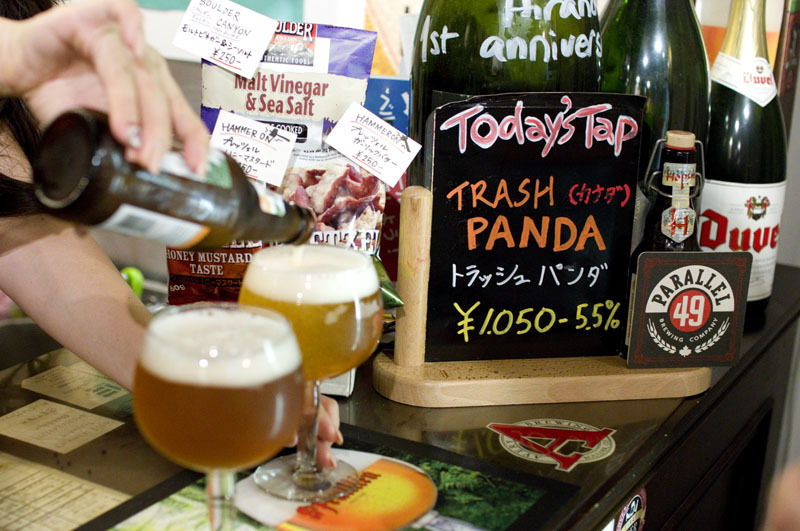 Beers vary quite a bit in price, with a median of around Y800-850 per bottle. Fancy potato chips, pretzels and other bar snacks are available. Open 5-11pm. Closed Sundays, 3rd Sat.